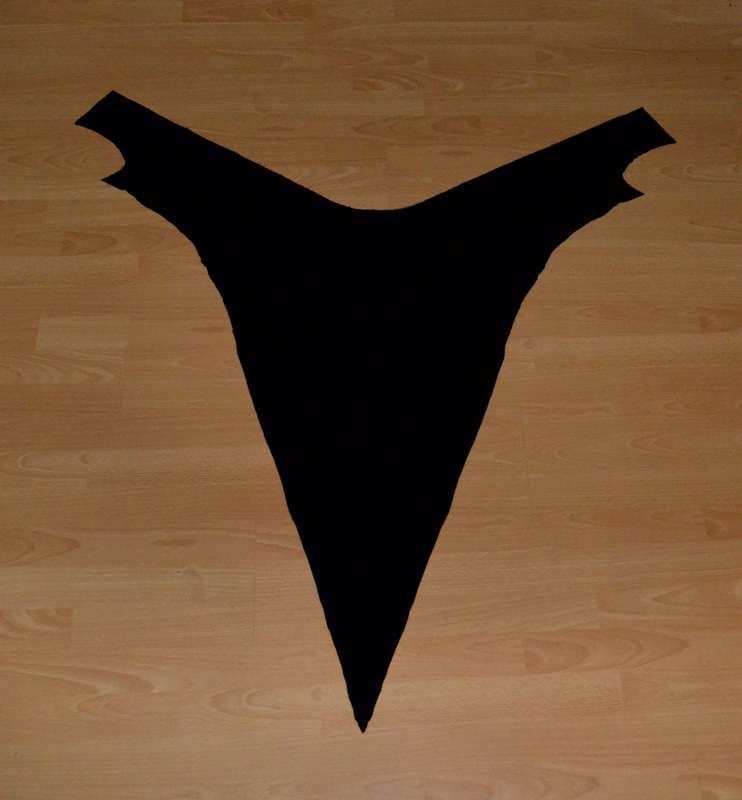 And of course your going to need lots of black thread. 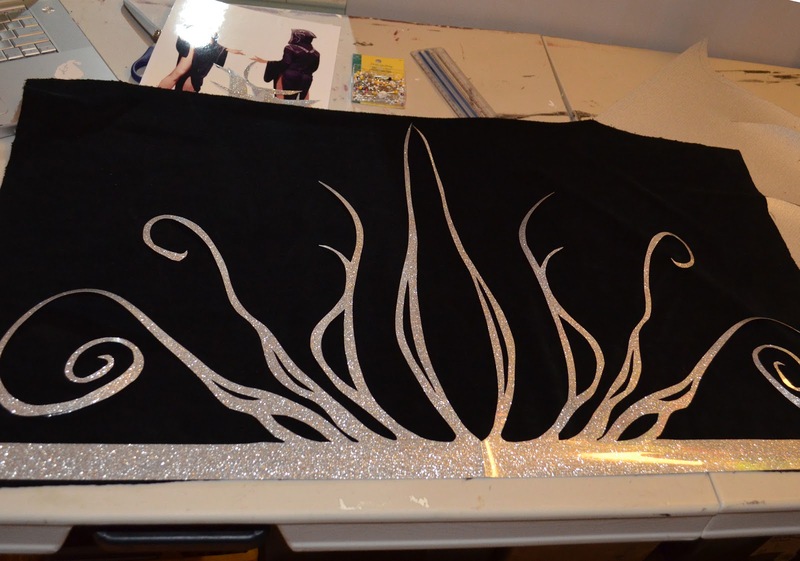 I also used gold and silver thread for sewing on the bias tape. Naturally this was all made on a sewing machine. 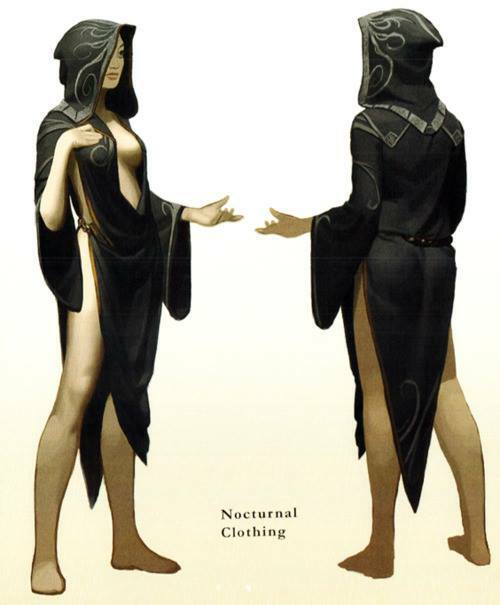 History: Nocturnal is a Daedric Prince who often takes the form of a beautiful woman robed in black and with ravens perched on their shoulders. 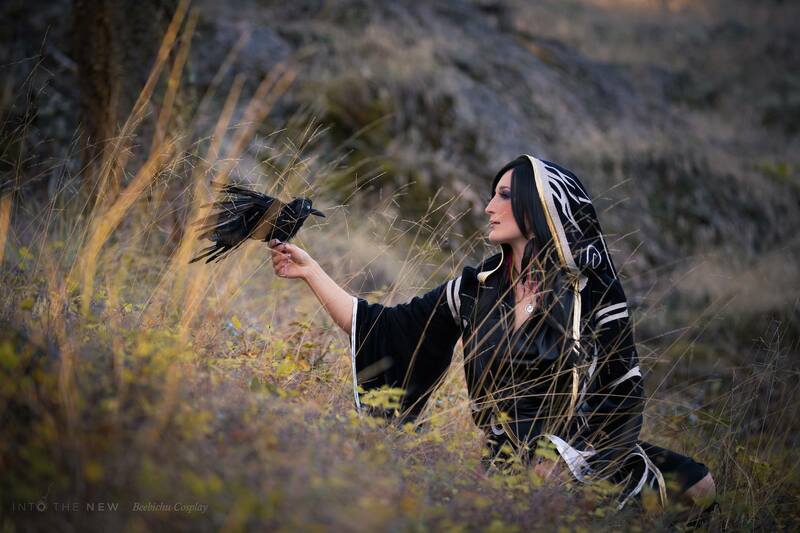 She resides over the Evergloam; a plane of Oblivion. 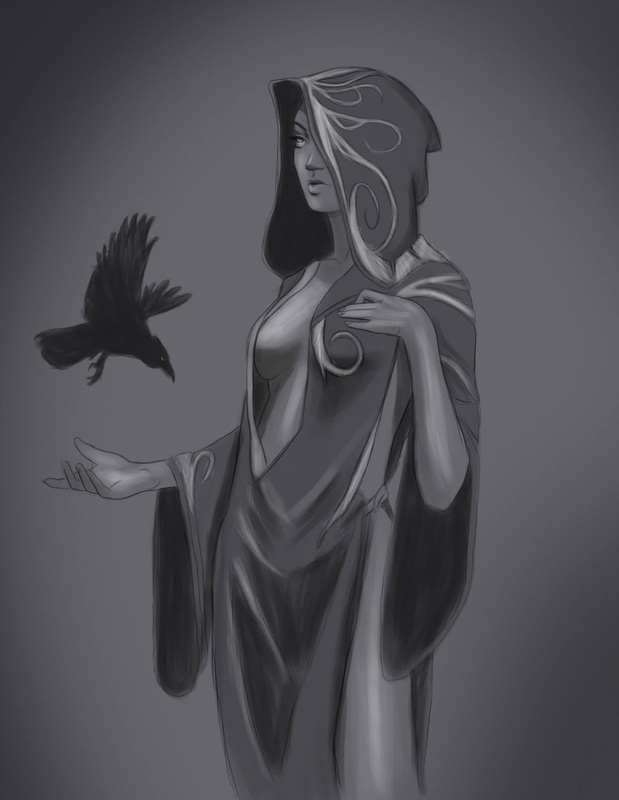 She is oft the patron daedra to thieves and assassins. 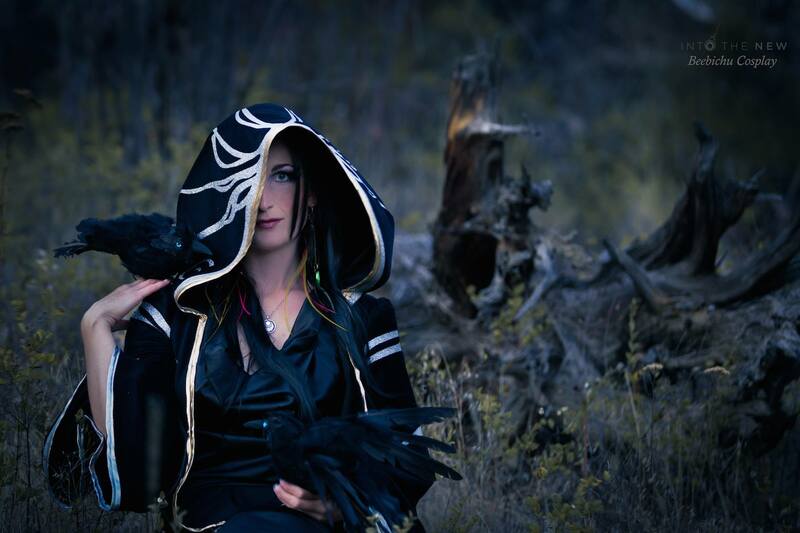 Her other names include Empress of Murk, and Daughter of Twilight. 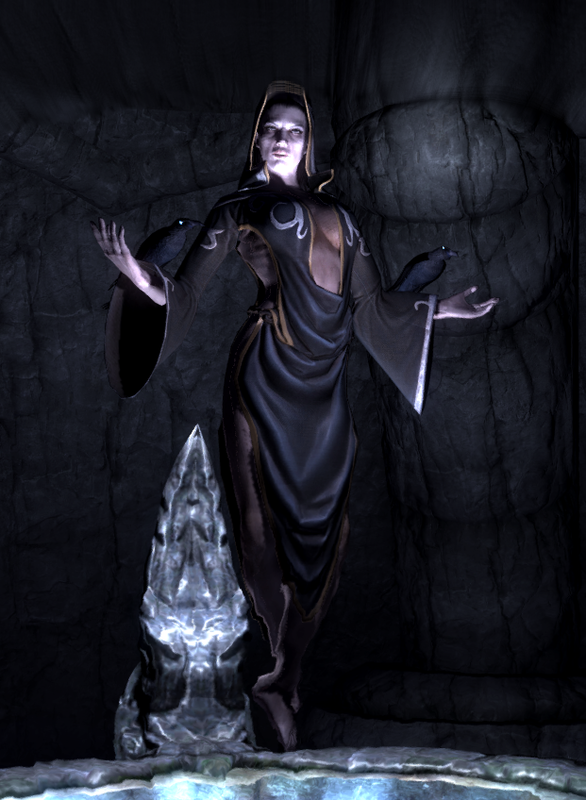 There are 3 chosen individuals who protect her temple on Tamriel and act as her agents of vengeance should her temple be defiled and her treasures stolen (ironically they often are). These agents are called Nightingales. McCall's M6612 for the dress and Simplicity 9887 for the hood and sleeves. 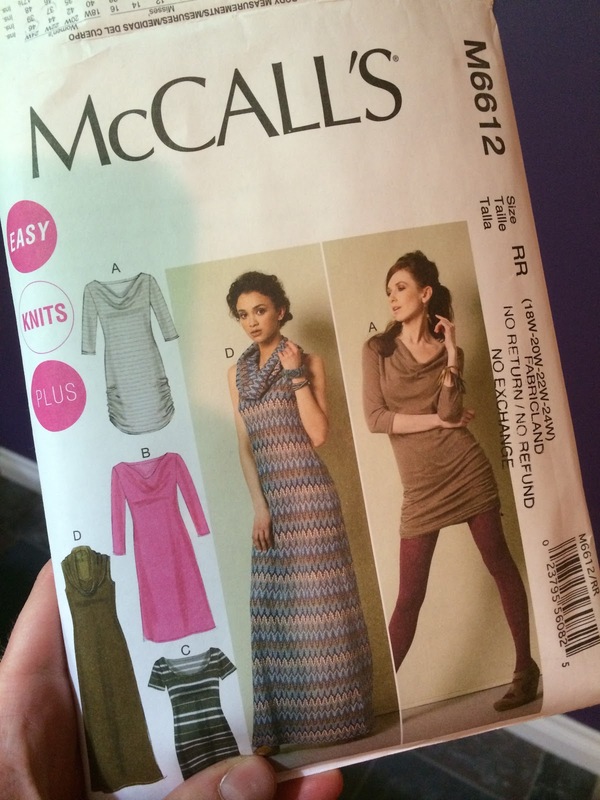 Choose dress D from the McCall's pattern. 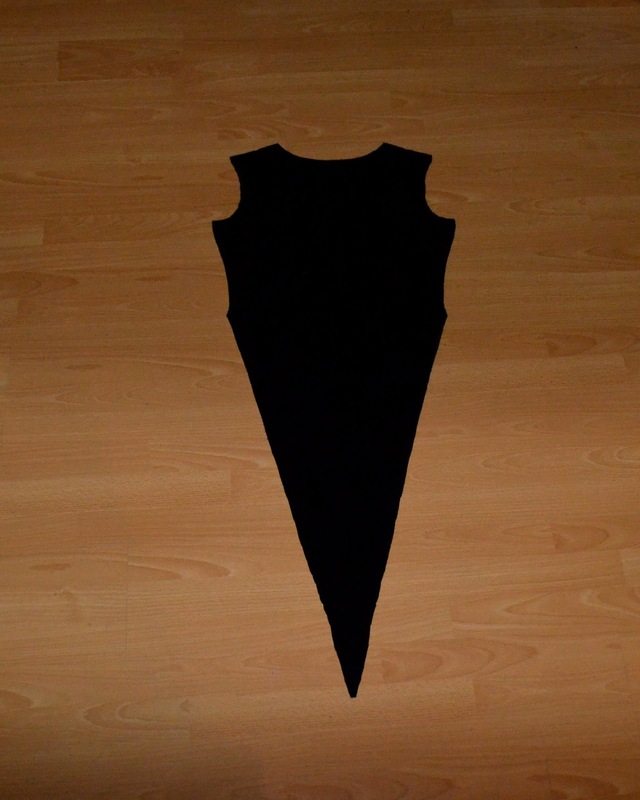 Following the direction of the pattern cut out your dress size. 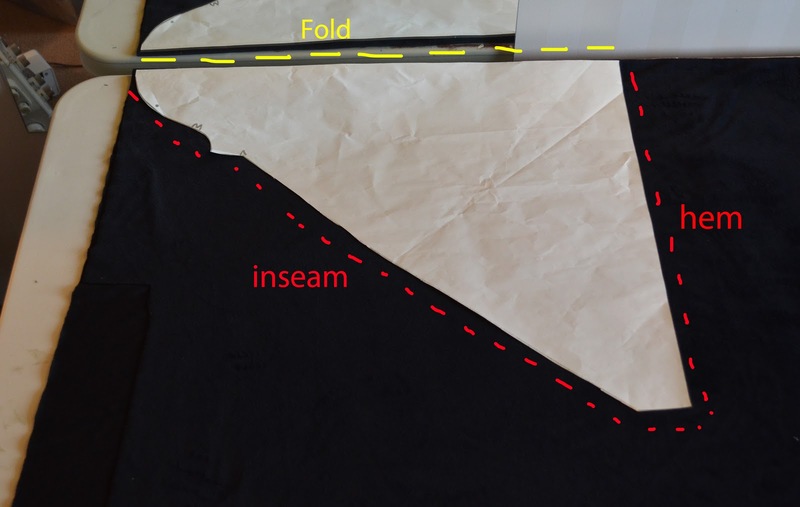 When it says to lay out the pattern on the fabric while folded in half, make this following modification to get Nocturnal's scooping low low neckline. 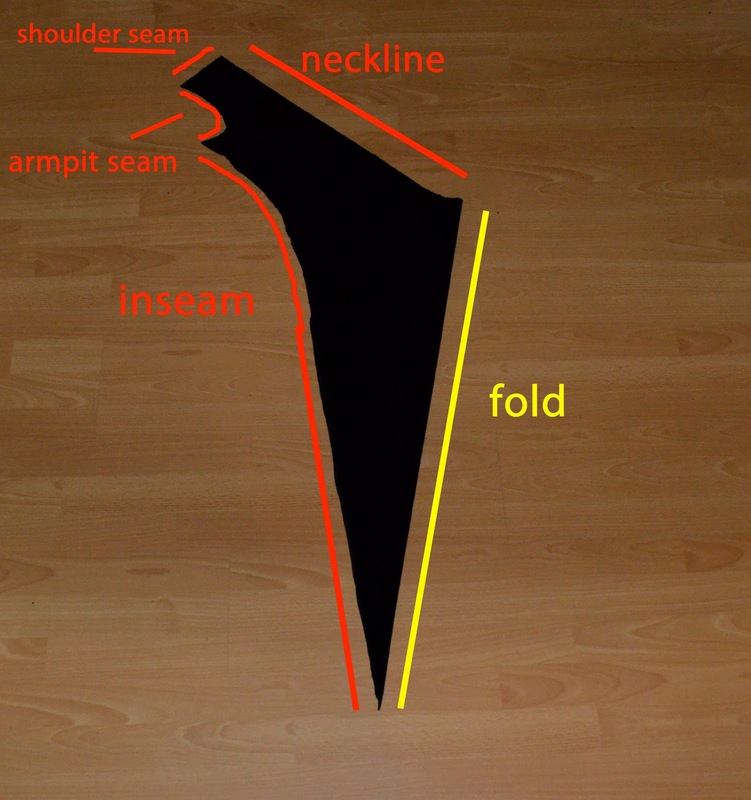 I made up my own sleeve pattern just by looking at how the McCall's dress pattern sleeves were shaped. 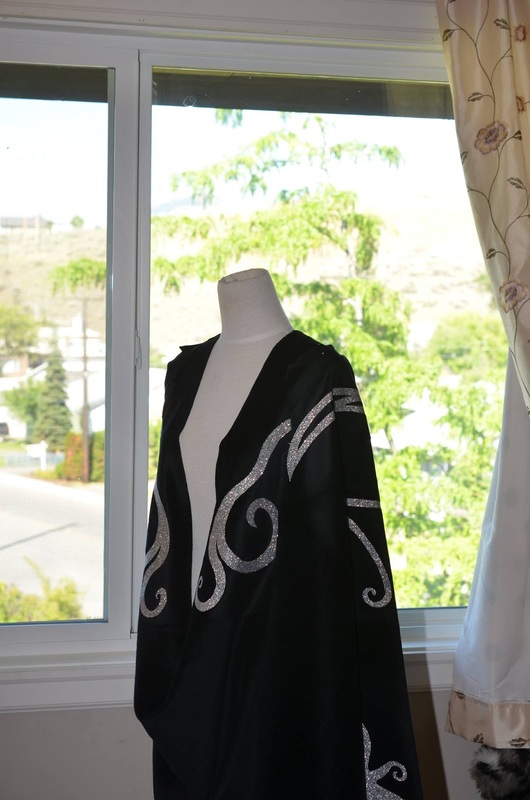 (I should have used the Simplicity robe pattern for help but I never thought of that). 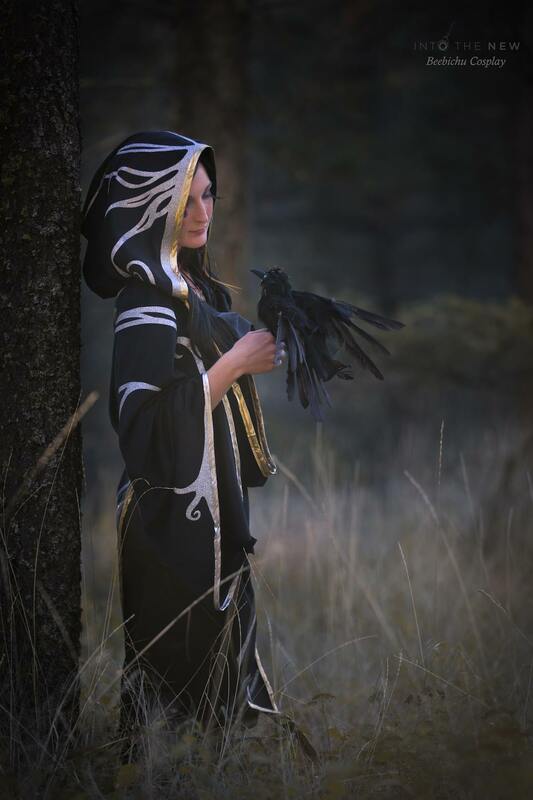 I used one of the hoods from the Simplicity 9887 pattern to help make the Nocturnal hood. 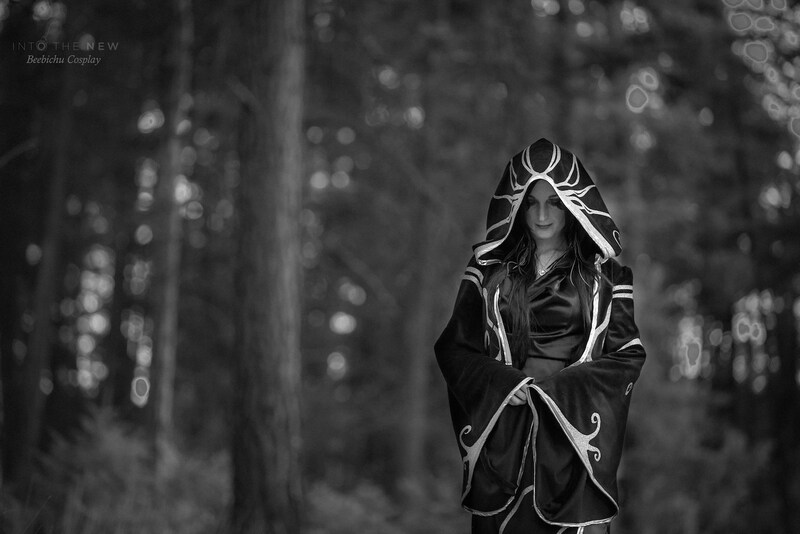 I can't remember which one but it's important to note that I used draft paper to enlarge the hood considerably. 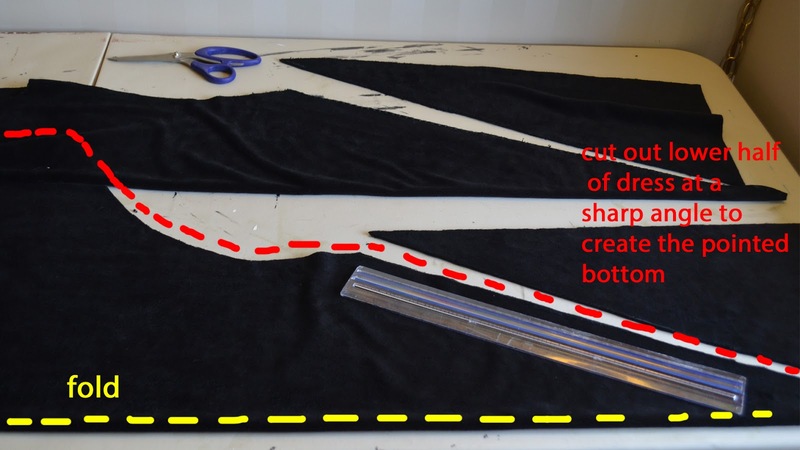 I suggest making one out of scrap fabric to test your own first. 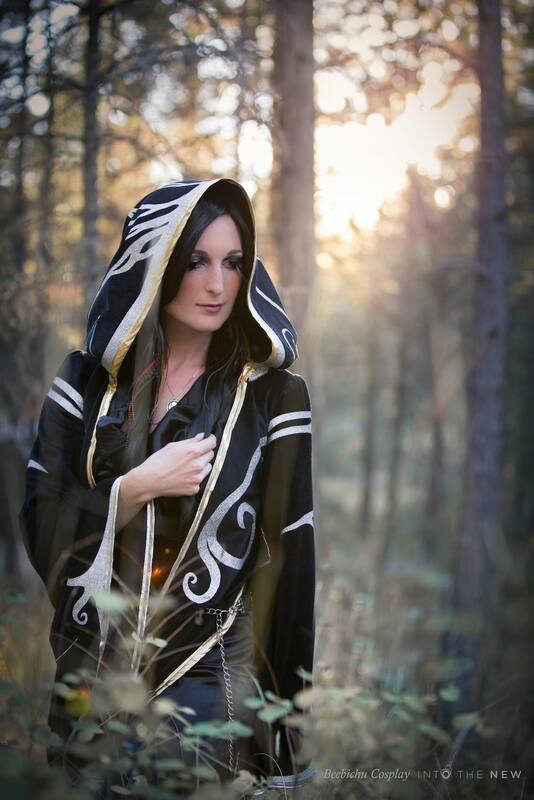 I used a material called heat transfer vinyl or iron on vinyl for all the silver details on Nocturnal's robes. It is really easy to use and comes in many colours and finishes. 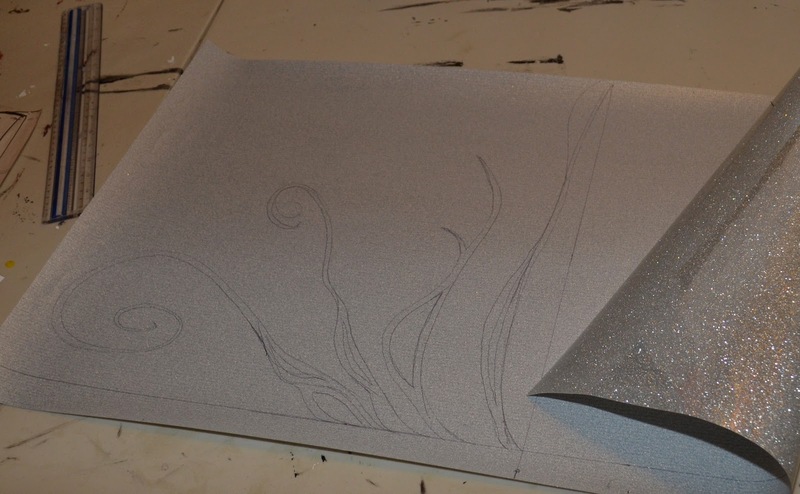 I used silver glitter flake from Stahls Canada for this step. 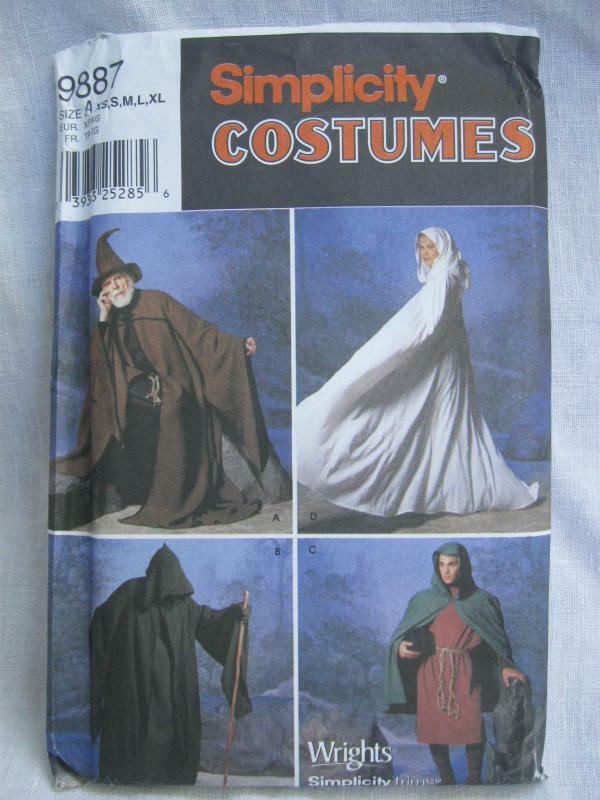 Iron on all the silver details before you sew the robes together! 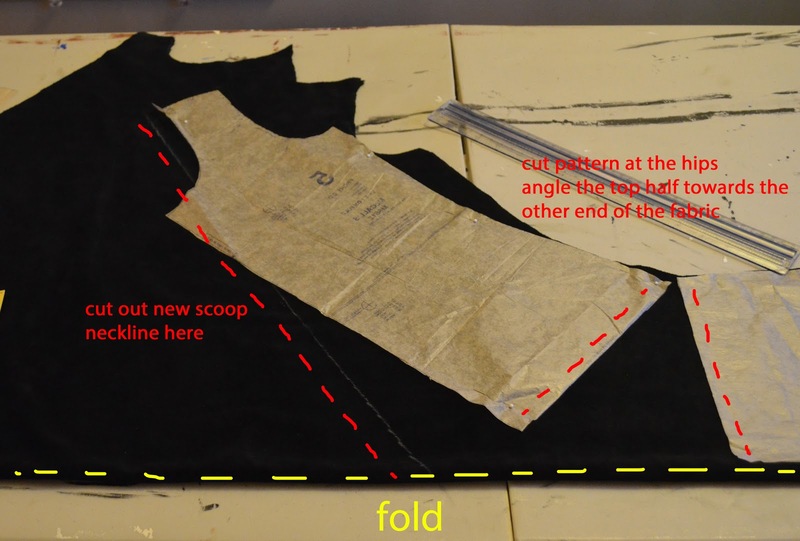 Follow the directions from the McCall's pattern to sew the front, back, and sleeves together. 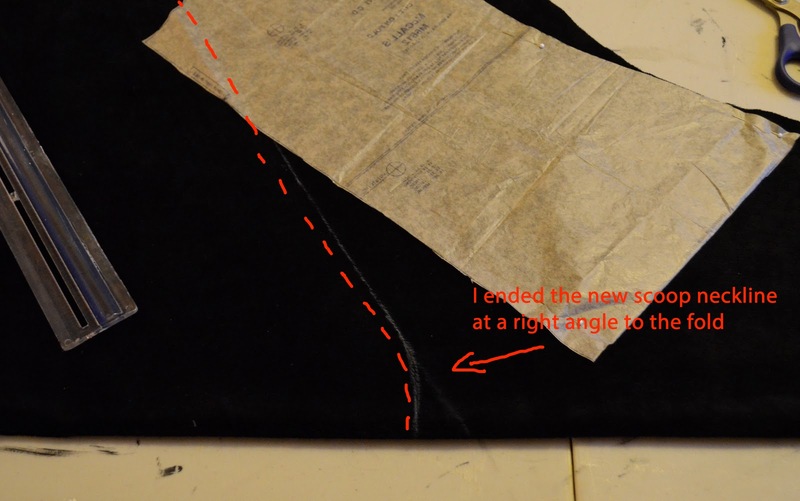 Remember you don't have to sew the inseams (sides) together as Nocturnal's robes are open almost all the way down the inseams. 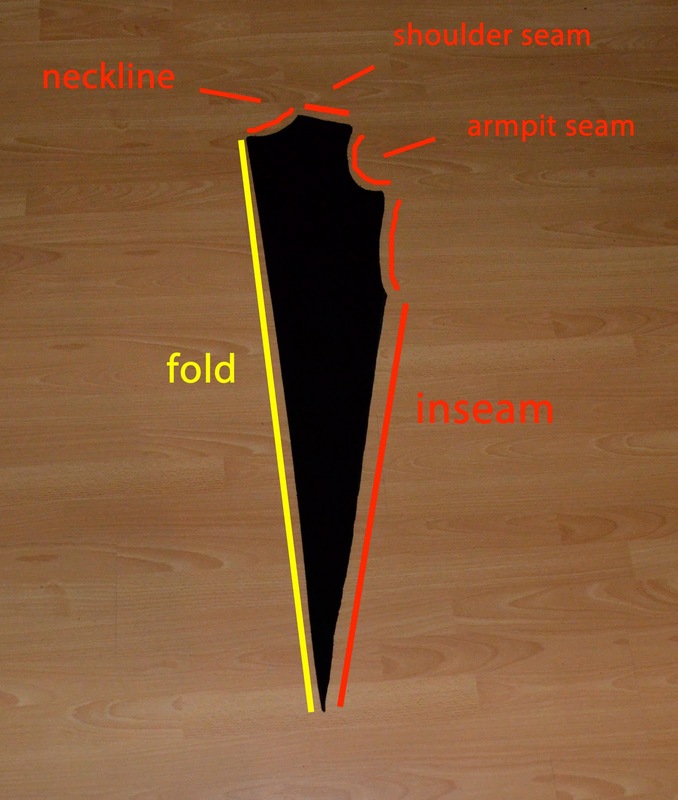 Follow the directions from the Simplicity pattern on how to gather the neck of the hood and sew it to the back neckline. 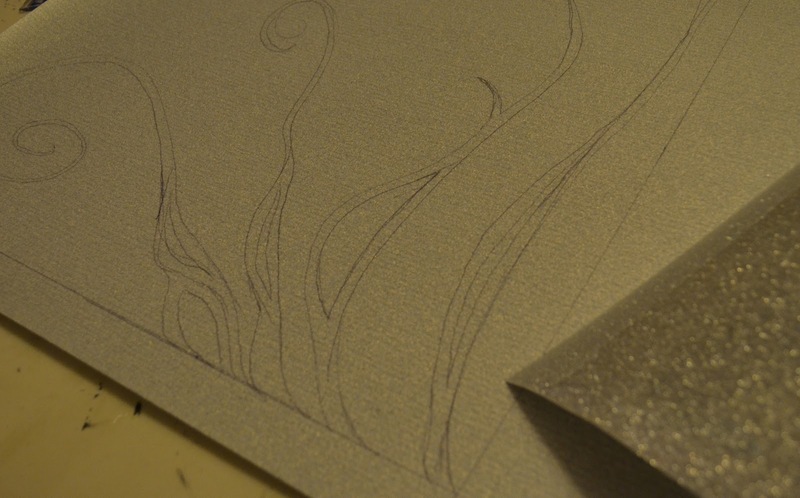 Last step is the bias tape. 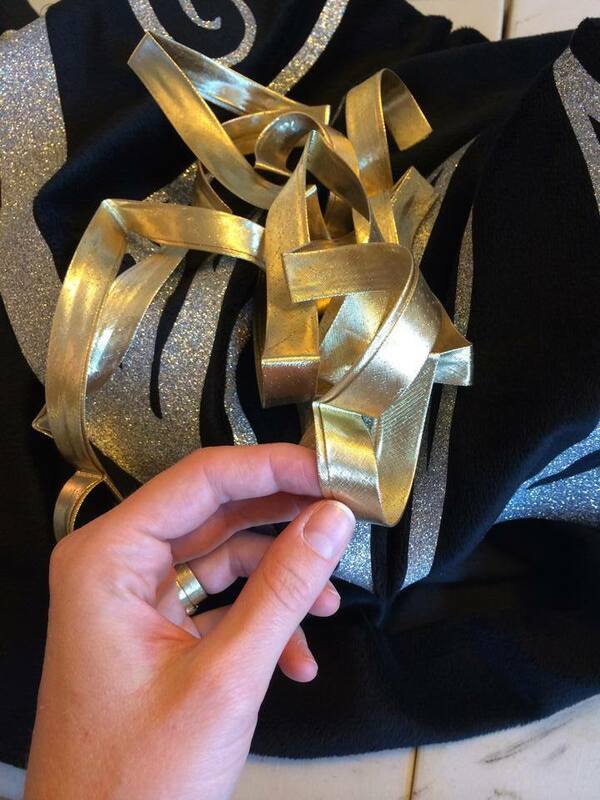 If your lucky you can find gold and silver bias tape that is already pressed down the middle. If not, just iron it yourself. 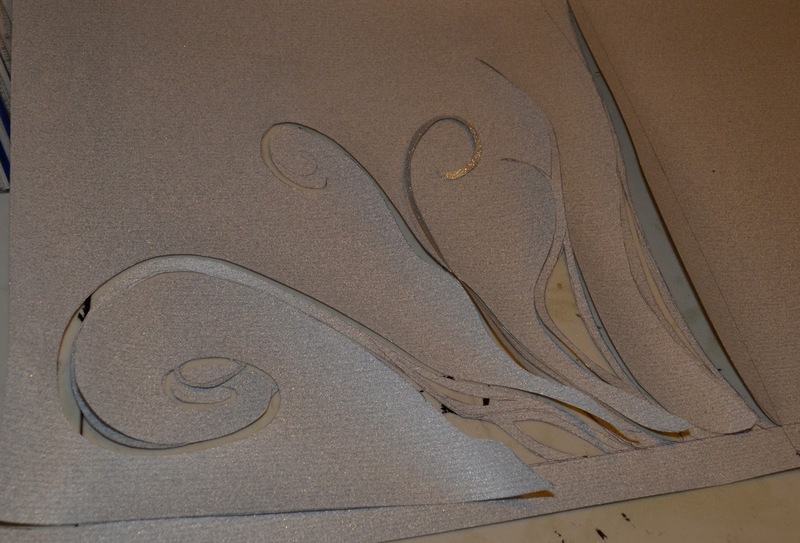 All you do is sandwich all the hemlines with it and sew it with gold and silver thread. Gold for the neckline and around the sides and bottom of the robes. Silver for the sleeves. Hallelujah! triple pressed biased tape! Viola! 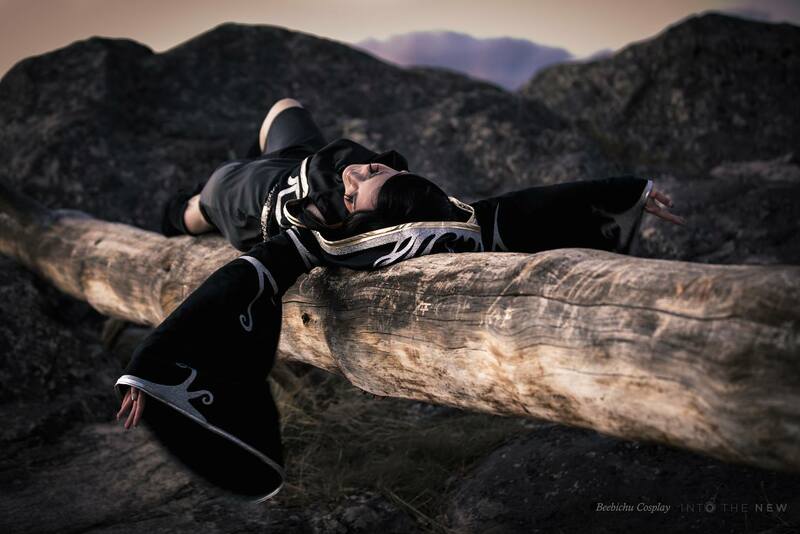 Enjoy your Nocturnal Costume. Or your new lingerie, whatever floats your boat.